Zealand is a small remote valley that once had a railroad running through it. 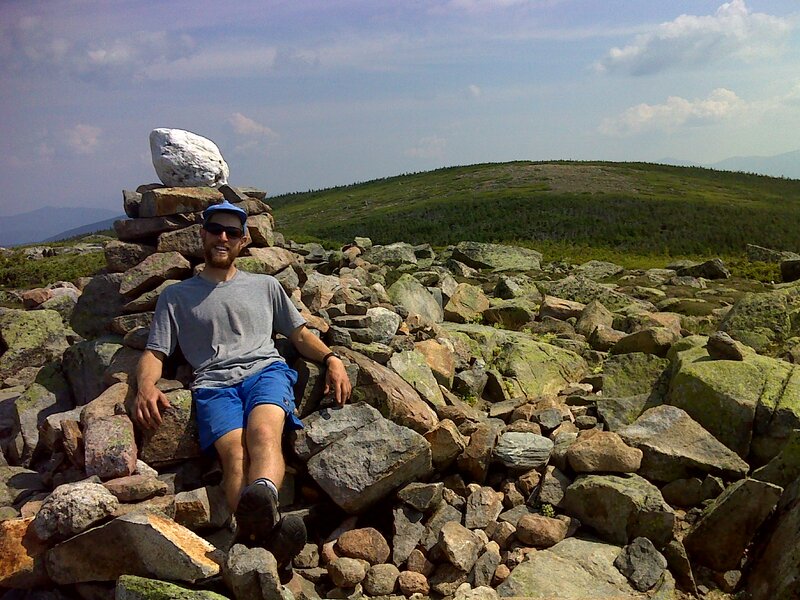 Named after it are Zealand Notch, Zealand Falls (and the AMC Hut by that name), Zealand Ridge, Zealand Mountain, Zealand Pond, Zeacliff, Zeacliff Pond, Zeacliff Trail, and the Zealand Trail, which just happened to be the route I chose to access the AT today. 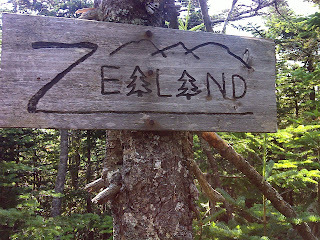 So I ask a hut croo at Zealand Falls Hut: where did the name Zealand come from. 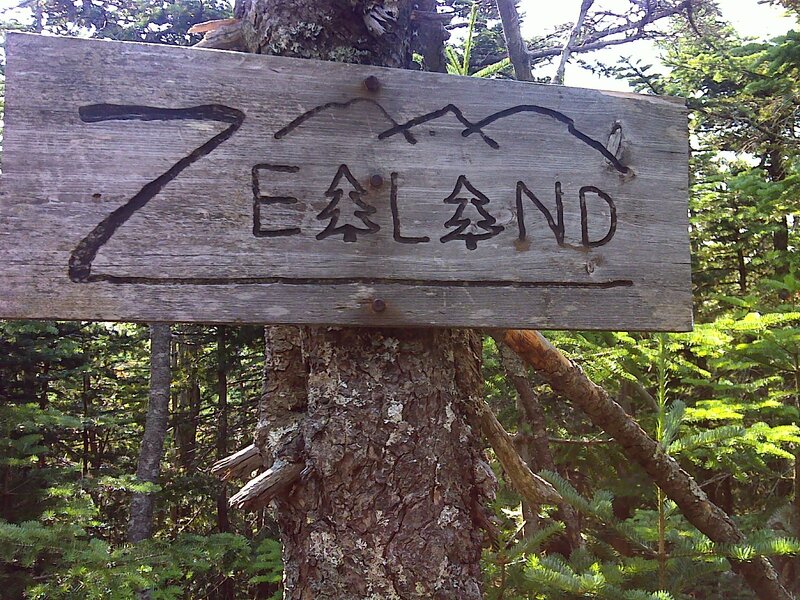 "It was named after New Zealand", he says, "when the lumber companies first opened it up in the mid to late 1800's". Makes sense, I supposed, since New Zealand has some rugged mountainous terrain. "So it's really New New Zealand," I quipped, to which he responded by asking if I knew where New Zealand got its name. I had no idea, so I had to look it up when I got back to civilization. It was named after the southwesternmost province of the Netherlands - Zeeland - meaning 'Sea Land' because most of it is below sea level and was reclaimed from the sea - half of the province's surface area is still under water and most of the other half used to be. So ... a mountain valley in the highlands of New England is named after a river delta province in the nether-lands (literally, the 'Low country') of Europe -- just another of life's little ironies. Both coming and going I ran into people who were going up that side trail in order to check Zealand Moutnain off their list. People love lists - gives them something to do on a nice Sunday afternoon. So ... on I went, finally escaping the realm of the Zeas only to climb another mountain with a peculiar fact about its name - Mt. Guyot. There's a mountain by the same name, named after the same geologist, also on the AT down in Great Smoky Mountain National Park. It has one of the memorable (to me) spots on the trail - a level walk through a dense and mossy spruce woods. I published that photo back in mid-March here on this blog and also on Facebook. This Guyot is a pretty summit too. It has a secondary mound that is open tundra. And there I met the caretaker of the Guyot Shelter hard at work reconstructing the distinctive cairn there with a big snow-white quartz rock at its pinnacle. He's also very proud of the built in 'easy chair' - very comfortable!